Today's recipe is for a dish that goes well with rice and dal as a side dish. 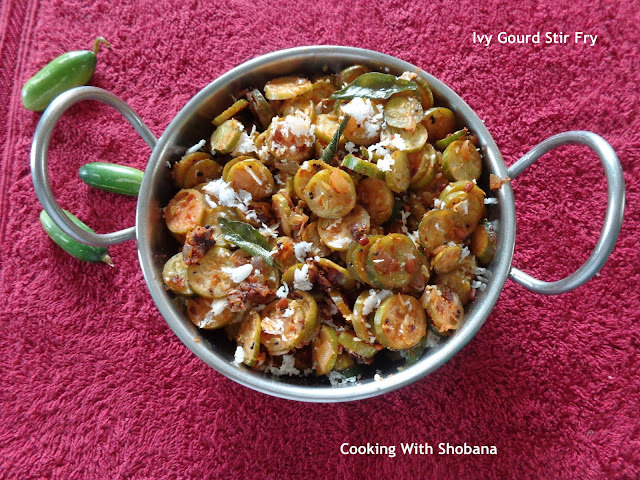 It is an easy to make yet tasty stir fry made with ivy gourd which is a commonly available vegetable in India. It is called Tendle in my mother tongue, Konkani; Tondli in Marathi, Tindora in Hindi, Thondekayi in Kannada, Dondakaya in Telegu and Kovaikkai in Tamil. 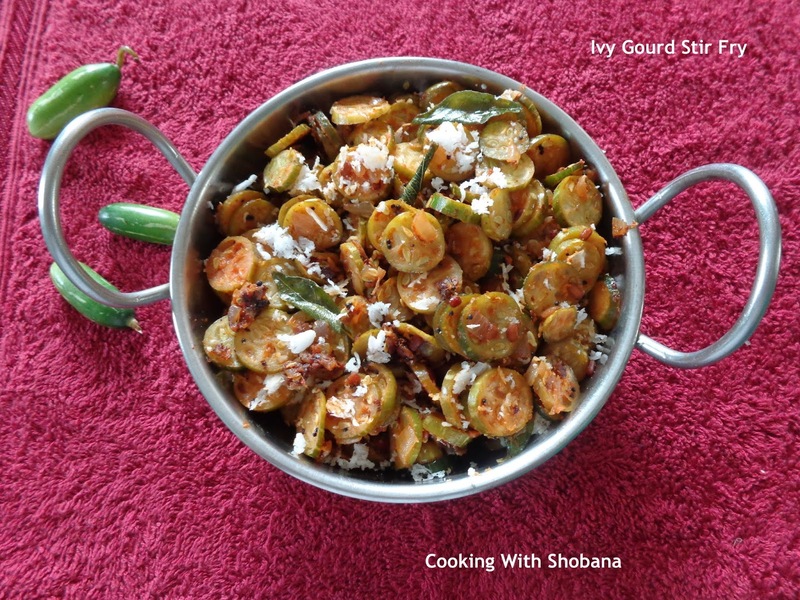 Elsewhere in this blog you will find other dishes made with ivy gourd such as Tindora Coconut Stir Fry from Andhra Pradesh; Tendle Talasani, from our Konkani cuisine and Thondekayi Yennegayi from North Karnataka. For best results, choose tender ivy gourd. 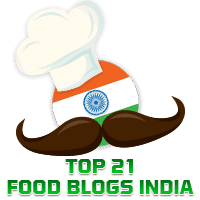 I have used store bought MTR Sambar Powder. You could adjust the spice level to suit your taste.